Grew up… in a loving household with extremely honest parents. One night Gwen overheard her father telling her mother that someone at his workplace had been stealing money and that he had been accused. When Gwen tried naively to give him £2.50, he replied, “It's not about the money. It's just that I can't stand anyone thinking I'm dishonest." Ever since, Gwen believed that her father had to be the most honest man in the world. Living… in Cardiff, Wales. Gwen’s ancestors established themselves in Cardiff during the 19th century, and remained in the area ever since. She currently lives with her boyfriend, Rhys. Profession…former police constable. In 2007, Gwen was called to a murder scene, and witnessed from afar a strange team resurrect the murder victim. Later that same week, Gwen was patrolling a hospital when she came across what seemed to be an alien. When the mysterious team came to her rescue, she became determined to track them down. Gwen discovered that the team called themselves Torchwood – specializing in tracking down aliens and defending earth from human and alien threats. Through a series of unfortunate events, Gwen becomes a member of Torchwood, leaving behind her police constable job. Gwen quickly becomes a valuable member of the team because of her empathetic nature, and her ability to see beyond mere facts. Interests… discovering the truth, at any cost. Relationship Status…deeply in love with her boyfriend, Rhys Williams. While the two met in college, it was not until much later that they became a couple. Rhys was immediately attracted to Gwen after meeting her because of her amazing personality and good looks, though she was dating someone else at the time. On their eventual first date, Rhys took Gwen to a beach for a picnic and discovered that he had accidently brought her to a nudist beach. Although not the best first impression, the two hit it off and eventually came to live together. Initially Gwen left Rhys in the dark about Torchwood, letting him believe that alien activity was actually the work of terrorists putting psychotropics in the water supply. Challenge… staying alive, and preserving her relationship with Rhys. On a mission, the Torchwood team travelled to the countryside to investigate a series of murders. After barely surviving the investigation, Gwen begins an affair with a fellow team member, Owen. The affair is in large part a result of not being able to share her supernatural and extraterrestrial experiences with Rhys. Ending the relationship with Owen and staying alive prove to be Gwen’s greatest challenges. Personality… empathetic, friendly, and at times Torchwood’s moral conscience. Gwen can be both selfish and selfless. She is compelling in part because she is at times morally ambiguous. While Gwen has a tendency toward egotism, self-righteousness, and selfishness, she is also willing to sacrifice herself for the greater good. Gwen Cooper's popularity ranking on CharacTour is #2048 out of 5,000+ characters. See our top-ranked characters and read their profiles. Torchwood is a British science fiction television programme created by Russell T Davies. The series is a spin-off from the 2005 revival of the long-running science fiction programme Doctor Who. The show has shifted its broadcast channel each series to reflect its growing audience, moving from BBC Three to BBC Two to BBC One, and acquiring US financing in its fourth series when it became a co-production of BBC One and Starz. In contrast to Doctor Who, whose target audience includes both adults and children, Torchwood is aimed at an older audience. Over its run, the show explored a number of themes, prominent among these were explorations of human corruptibility, existentialism, and homosexual, bisexual, and omnisexual relationships. 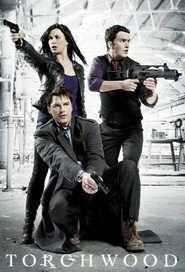 Torchwood follows the exploits of a small team of alien hunters, who make up the Cardiff branch of the fictional Torchwood Institute, which deals mainly with incidents involving extraterrestrials. Its central character is Captain Jack Harkness, an immortal former con-man from the distant future; Jack originally appeared in the 2005 series of Doctor Who. Other than Barrowman, the initial main cast of the series consisted of Eve Myles, Burn Gorman, Naoko Mori and Gareth David-Lloyd. Their characters are specialists for the Torchwood team, often tracking down aliens and defending the planet from alien and nefarious human threats. In its first two series, the show uses a time rift in Cardiff as its primary plot generator, accounting for the unusual preponderance of alien beings in Cardiff. In the third and fourth series, Torchwood operate as fugitives. Gorman and Mori's characters were written out of the story at the end of the second series. Recurring actor Kai Owen was promoted to the main cast in series three, in which David-Lloyd too was written out. Subsequently, American actors Mekhi Phifer, Alexa Havins, and Bill Pullman joined the cast of the show for its fourth series; the latter two were written out at the end of its run.